The words moving up and down the chart are listed here. 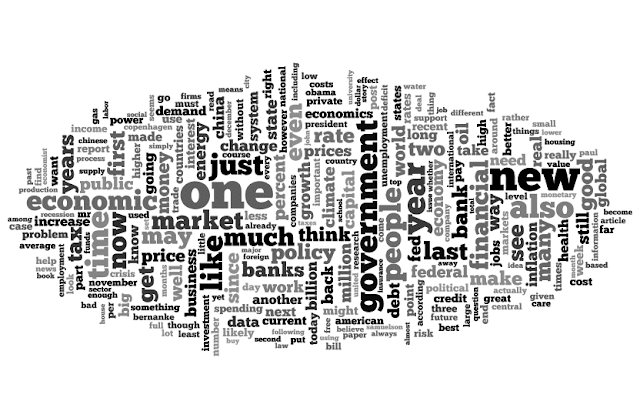 Key words this week: policy and banks up, Fed back up after a fall last week, inflation up 340 places and Bernanke up 415. Falls in sales, emissions and spending. But the most poignant entry on the list is a new name at position 272: Samuelson.